Fatal phrases at the front and finish of meetings. We have all had our fill of the common suggestions for conducting effective meetings – everything from starting on time and ending on time to working with a timed agenda. But I want to add some statements and questions that as a chairperson you might want to avoid. This is rarely, if ever asked. But some participants seem to think the ritual of an icebreaker such as this is mandatory. Socialize before and after the meeting if you wish to do so, but time is valuable, and some people can ill afford to waste any of it. If 10 people are present and earning an average of $60 per hour, those jokes are costly – $10 per minute. Would you pay $50 to hear a five minute “shaggy dog” story? Sure let’s make the committee as inefficient and ineffective as possible. 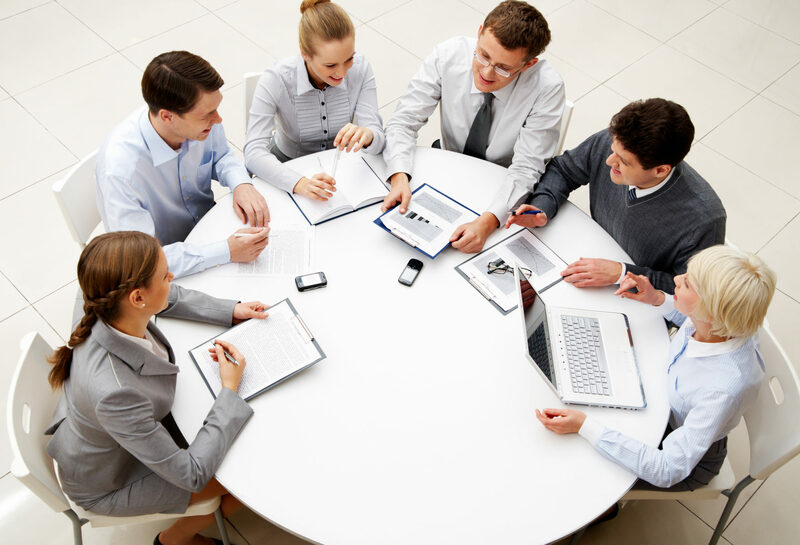 We all know that the effectiveness of a meeting varies indirectly with the number of people present. And according to the book, Decide and Deliver: 5 Steps to Breakthrough and Performance in your Organization, once you have seven people in a decision-making group, every additional person reduces effectiveness by 10 percent. This is referred to as the “Rule of Seven.” Once the number exceeds twelve, you will find it very difficult to accomplish the meeting’s objectives. The old bromide that two heads are better than one assumes that both hands are thinking in the same direction. Please, let’s waste as much time as possible while we’re all here – we’re on a roll! If you have already finished the agenda, including any “new business” items, why drag it out? It’s not a crime to finish a meeting earlier than the estimated ending time. That was indicated only so you can plan your day accordingly. And the time allocated to each item was an indication of its importance and how you should manage yourself during the discussion. The actual ending time of any meeting should be when the objective of the meeting has been reached. Any time redeemed is a gift. You’re asking for trouble. That’s another way of saying, “Get them to me whenever you get around to it.” Not only should specific people be responsible for submitting specific reports, they should also have specific dates to submit them. And those dates should be before the next meeting. Not only are you to assign responsibilities and deadlines, you will have to follow up with the people concerned to ensure that actions decided at the meeting are completed on schedule. By all means. At the next meeting, we may not have a quorum and can delay it even longer. And we want to make sure we have enough items to discuss at the next meeting. We also will have to explain the item to anyone not at this current meeting as well. That should waste a bit more time. Sleeping on it will only increase your sleep, not your wisdom. Make the decision now and get it over with. If you would like more information on conducting effective meetings, refer to my e-book, Make your meetings more productive, published by Bookboon.com. 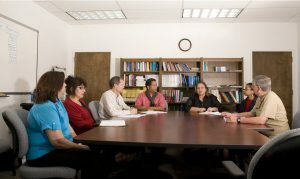 To run effective meetings, you must control both the length of the meeting and the meeting itself. Regardless of whether you spend an average of one hour or six hours each day in meetings, there is considerable time savings to be realized by running them efficiently. Here is a summary of the most important things to keep in mind when calling a meeting. Invite only those who are essential to the success of the meeting. If people are unlikely to contribute to or benefit from the meeting, don’t include them. Try to keep the total number of attendees fewer than 8 people. According to the book, Decide and Deliver: 5 Steps to Breakthrough and Performance in your Organization, once you have seven people in a decision-making group, every additional person reduces effectiveness by 10 percent. Plan the meeting in advance. Avoid last-minute agendas. Anticipate which topics will generate the most discussion, disagreement and time loss. Leave the contentious issues last – when people are less likely to waste time. Put the priority items that will generate the least discussion near the start of the meeting. Allocate estimated time limits to every agenda item, and be sure to include an ending time as well as a starting time on the agenda. Prepare, and encourage participants to prepare. Insist that any suggestions for the agenda be submitted at least a week in advance in order to be included on the agenda. Have the agenda and any reports to be discussed distributed to the other participants at least 3 days in advance of the meeting. Discourage participants from wasting everyone else’s time reading reports at the meeting. Meetings are for discussion and decision-making. Don’t make exceptions. If anyone arrives late, including your boss, explain that you are now on item 2 or 3. Don’t apologize for being prompt and efficient. Set a businesslike but friendly tone, keep the meeting on course, and encourage participation while maintaining control. Resist the urge to summarize the progress to date for every late arrival. If they ask, tell them you’ll update them after the meeting. Make notes at every meeting and encourage others to do likewise. Record decisions reached, actions required, the individuals responsible for the various actions, and the expected completion dates. Review this information at the end of the meeting to ensure that everyone is clear as to his or her responsibilities. If everyone takes notes, there is no need to wait for minutes to be issued before taking action. Don’t waste the group’s time on one person’s responsibilities. If you have made a group decision and provided input, assign the action to one person, not several. If a few people have strong feelings as to how something should be done, ask them to submit the suggestions in writing to the person who will be taking action. Always take a few minutes after every meeting to evaluate how it went. Jot down what you will do next time to improve the process. Continually strive to reduce the time loss and increase the value of every meeting you manage. Deadlines make us more efficient without detracting from the effectiveness of our meetings. To minimize the impact of Parkinson’s Law (activities expanding to fill the time allowed for them) try breaking all your meetings into one-hour modules. Most meetings can’t be completed in their entirety in one hour. Others may need several one-hour modules. But outlaw open-ended meetings that have a long list of agenda items and no timeframes. They invariably consume more time than necessary. Draw up an agenda with the 80/20 Rule in mind. (20% of the items on the agenda represent 80% of the value that will be obtained from the meeting.) The first one-hour module contains the most significant items. The second one-hour module, if one is needed, contains more items, but of less importance. If a third hour is needed, group all the remaining items into this one-hour module. By doing this, the amount of time spent on agenda items is proportional to the importance of the items, rather than by the number of items discussed. You have also prioritized the order of business, and have built in deadlines – which will further increase efficiency. All the personal anecdotes, news, reviews, and shaggy dog stories can be left until after the meeting, and limited to those people with nothing better to do with their time. 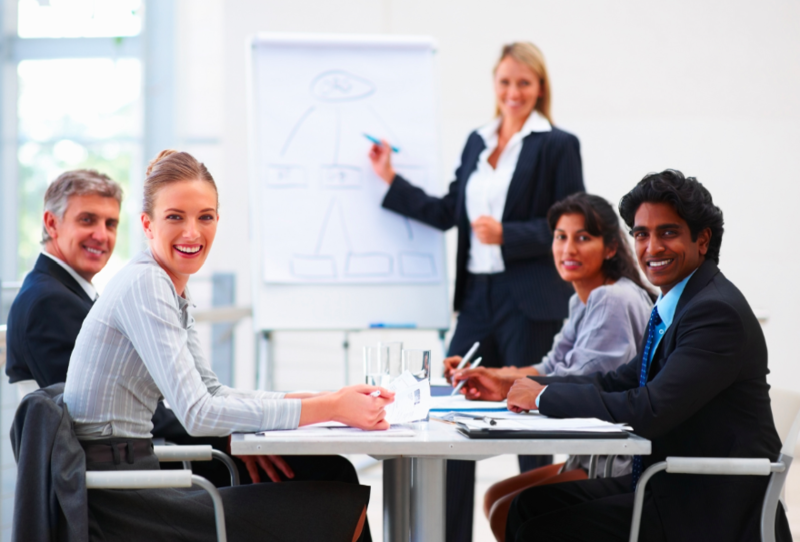 You might also streamline your meetings more by using the “Rule of Seven.” People development specialist Terry Patten mentioned in his newsletter how you might decide on the right number of people to have a good meeting. According to the new book, Decide and Deliver: 5 Steps to Breakthrough and Performance in your Organization, once you have seven people in a decision-making group, every additional person reduces effectiveness by 10 percent.